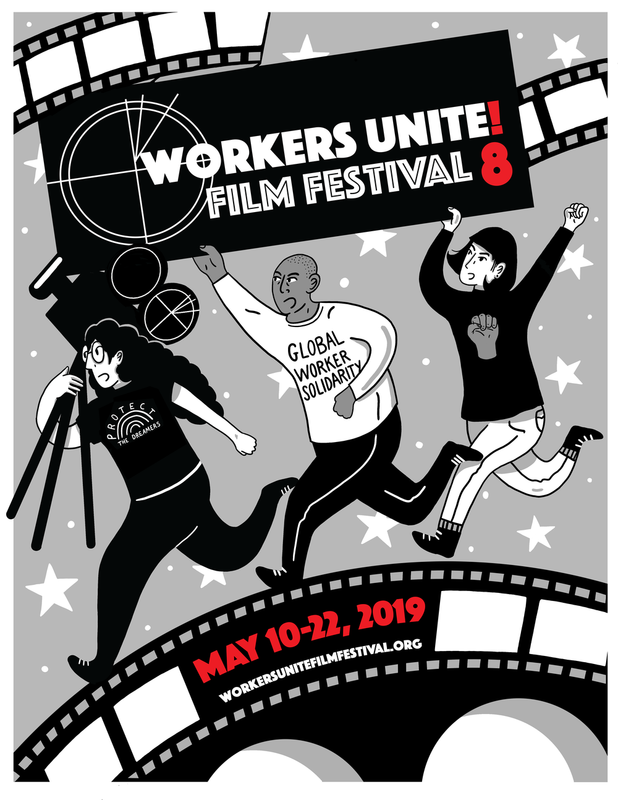 We are into the third exciting day of the 2nd Annual Workers Unite Film Festival. We are proud to have a wonderful article written about one of the main films we are screening today, The Machinists, about the very brave women and men (the recently murdered labor organizer, Aminul Islam being among them) in Bangladesh who are fighting to form a union in the highly exploitive garment industries there. Julie Flynn Badal has done an excellent job in telling the story of exactly what "the true price of a pair of jeans" really is in human terms. Please go read this story and please come see this amazing film today at 7PM at the Cinema Village. We placed this film on Mothers Day particularly because so many of the workers involved in this movement are young women with young children. They are forced to work fifteen hour days, paid about 23 cents! an hour and must place their children with their own parents for safe-keeping. This means weeks can go by without Mothers even seeing their children, just in order to keep these oppressive sewing jobs. And as we now know, it isn't even the exploitation in these garment factories that is the worst part. These women and men risk their lives to go to work. There have been at least six major fires over the past two years, including the major fire at the Tazreen factory, killing over 300 workers. As horrible as this is, it pales in comparison to the recent collapse of the illegally built factory tower in Dakar, Bangladesh, has now murdered over 1000 innocent workers. Read Julie's article. We are also honored to be showing an eye-opening new film from Italy, called the Women Workers War. This brilliant film shows what happens when one group of strong women sitdown in their own factory, stopping work for over a year. They send their story and message out over both social and regular media over the course of that year. They reach business owners and in particular, a women who decides to totally change her relationships in her own factory thanks to the enlightened message from the women on the sitdown strike. This is an incredible film about human relations and the power to change. Earlier in the day we are screening several shorter films about The National Domestic Workers Alliance, based out of NYC, together with several films about domestic workers all over the world. Mujeres Pa'lante follows these often overlooked workers in Spain, where many of the domestic workers come from South America. Later this evening we see the epic Money and Honey, about Filipino women who travel to Taiwan to care for that country's aging population. The Director, Jasmine Lee, will be there to speak on the topic. We are also lucky to have a short film on one of the fast growing local worker movements, Vamos Unidos, Judith: Portrait of a Street Vendor. This film shows the multiple battles these recent immigrant women must face. Harassed by the city and the INS, while trying to do their self- created jobs, they must often carry their very young babies on their backs as they push their loaded carts. This film is a testament to the strength and determination of women workers and all workers involved in this movement, to fight for their rights against enormous odds. Director Zahida Pirani will be at the screening with Vamos Unidos members to answer questions. So for this Mothers Day, treat your Mom, treat yourself and the family to brunch, and a stroll, then come on over to the Cinema Village in the later afternoon for some powerful and entertaining films about Moms around the world who want exactly what your Mom wanted for you, and my Mom wanted for me: a safer life, a better life, a life filled with not only the material things you might need, but the freedom and ability to choose your own path, without exploitation and without oppression. I want to thank my Mom, Elly Tilson, a lifetime trade union movement member and former Director of the 1199/SEIU Health and Pension Fund, for bringing my brothers and I up with those freedoms and with an education in what it means to be part of a a proud working class family. We were taught from day one the honor and dignity of working people and hopefully we are able to pass that message on to our own children and to as many of yours as we can, through these wonderful films.